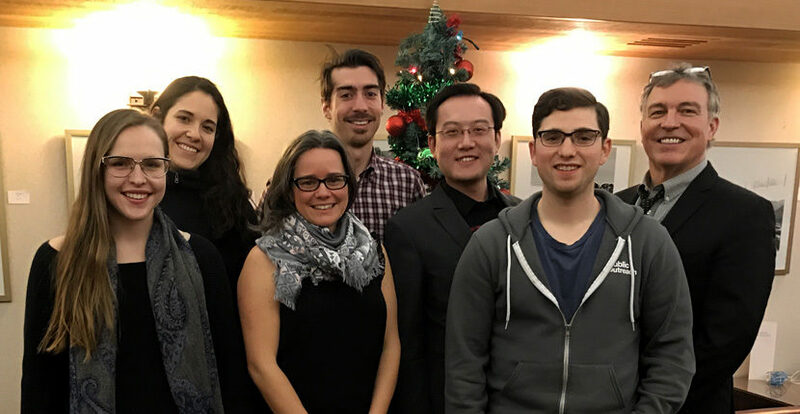 As 2016 draws to a close, CELL celebrates six very successful first months as Canada’s newest non-profit public interest environmental law organization. CELL was incorporated in June 2016 to fulfill an important gap in the legal education of lawyers and law students in this province. We believe that litigation is central to the lawyer’s craft and that litigation is sometimes a powerful and effective way to advocate for environmental interests. Nevertheless, most law students graduate with minimal exposure to real world litigation. CELL’s mission is to train and mentor the next generation of public interest lawyers through closely supervised and strategically selected public interest environmental litigation cases in a setting of immersive, experiential learning. In this past school term, CELL began providing experiential learning opportunities to law students. Through a combination of law student volunteers and additional law students from the UVic Environmental Law Clinic, CELL provided litigation training and education to five students: Alex Ciccone (3rd year), Kathryn Gullason (2nd year, ELC), Leila Hartford (2nd year), Roark Lewis (3rd year), and Caitlin Stockwell (2nd year, ELC). These students worked closely in a litigation team with CELL lawyers Chris Tollefson and Anthony Ho on various cases throughout the term. One of the main CELL cases during these past six months was on the Pacific NorthWest LNG Project. This project is a proposal to build a natural gas liquefaction facility and export terminal adjacent to sensitive salmon habitat in the Skeena River estuary. On behalf of SkeenaWild Conservation Trust, CELL launched a legal challenge at the Federal Court against the federal government’s approval of this project. Through working on this legal challenge, our team of law students obtained first-hand experience working with practising lawyers in reviewing the evidence, interviewing clients and experts, doing legal research, strategizing legal arguments, and drafting pleadings for the case. Aside from the legal challenge against the Pacific NorthWest LNG approval, CELL has been working on various other public interest environmental cases. For example, CELL provided both written and oral submissions to the federal government’s Expert Panel on the Review of Environmental Assessment Processes on behalf of two clients: BC Nature (a province-wide federation of naturalists and naturalists’ clubs in BC), and the Tahltan Central Government (the governing body of the Tahltan First Nation). Their written submissions can be found here and here. Moreover, CELL continues to support Sierra Club BC and Josette Wier (and their legal counsel Jason Gratl) in their legal challenge against certain Wildlife Act approvals in relation to the Site C dam. In 2017, CELL will continue to grow as an independent legal education service provider. CELL hopes that, in time, we can work with all three law schools in BC to provide experiential learning opportunities to law students in public interest environmental litigation. Stay tuned with CELL to find out more about our upcoming legal cases and other work with law students across this province. Happy holidays and see you all in 2017! What’s next in the Trans Mountain saga? Stay informed about our work and opportunities to get involved.